Hang out with Herman and Shelley, our resident Hermit Crabs! 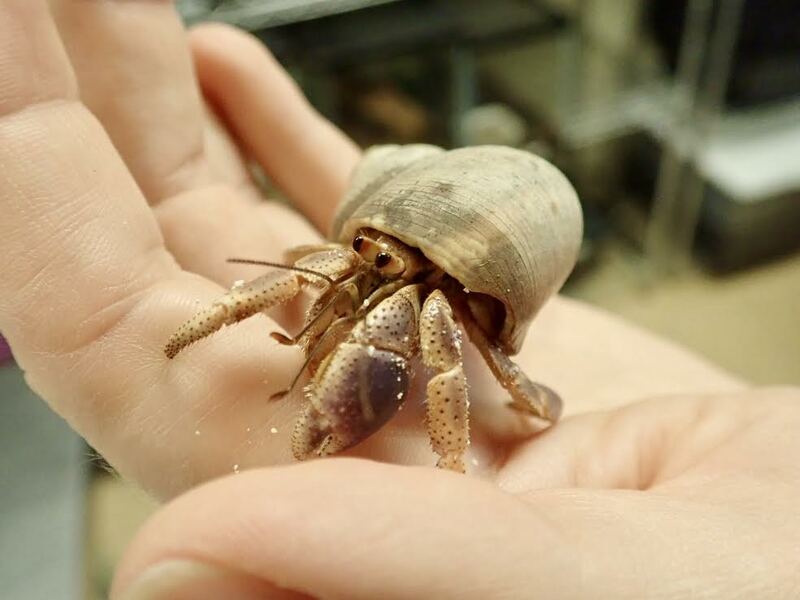 While not insects, hermit crabs are close relatives belonging to the phylum Arthropoda, or arthropods, meaning they have an exoskeleton that they need to shed in order to grow. Home Range: Hermit crabs are found worldwide. Wild Diet: Hermit crabs are omnivores and will eat just about anything. Hermit crabs scavenge for empty seashells to use as protection for their soft, vulnerable abdomen. As they grow, they will discard their old shell and search for a new one, even fighting other hermit crabs for prime real estate! Sometimes, if a shell cannot be found, hermit crabs will use hollow wood, stone, or even discarded plastic waste as an alternative.